Our mattresses, foundations, toppers and pillows are handmade right here in California with certified healthy, durable components imported from Europe. Our stretchy cotton knit is made with 100% organic cotton in a GOTS certified factory in Germany. All the Plein-Air wool fill for our pillows and mattresses is made from 100% pure Plein Air wool in Germany. Our 100% natural Talalay latex is Cradle to Cradle GOLD certified. In addition all components are tested and certified by the independent Oeko-Tex 100 standard to ensure a clean and chemically safe sleep environment. Why don't you test your finished product for harmful substances? Our components are certified by the European standard Oeko-Tex 100 to be chemically safe. Our latex is Cradle to Cradle GOLD certified and in addition, our cotton fabric is made with 100% organic fiber in a GOTS certified factory in Germany. During manufacturing we are not adding anything that changes the chemical composition of the components in any way. To test the finished product as well would increase the price of our beds without providing any additional benefit to the consumer. Our 100% natural Talalay latex is Cradle to Cradle GOLD certified. We feel that this is the most comprehensive standard currently available in the industry. In comparison GOLS (Global Organic Latex Standard) is very limited in its scope and doesn't even test offgassing of the finished product. The GOLS certification allows up to 5% of the formulation to be "non-organic" materials excl. synthetic rubber. It is impossible to make latex foam without additives (soap, sulphur, gelling agents etc.) so a lot can happen on the way from making the organic raw material into latex foam. We only use 100% natural Talalay latex because it is superior to latex blends and Dunlop latex with regards to performance and durability. Many consumers ask for organic mattresses assuming that this is their best and safest choice. However, an organic certification has little to nothing to do with the quality or performance of a product. It's virtually identical to the same material that does not have an organic certification even though it adds to the cost of a product. The GOLS - Global Organic Latex Standard for example doesn't test the final product for harmful substances or VOC's so additional tests after processing are required to prove that it is safe. We appreciate all consumer reviews as important feedback on how best to meet our customers' needs. Honest postings of positive or negative experiences are a welcome and important part of doing business. Fake reviews paid for by the competiiton trying to change the focus of our marketing message are unwarranted and do a disservice to consumers. In late 2014 a person pretending to be a consumer sent us anonymous letters, reported us to the FTC for misleading marketing claims and harrassed our dealers with fake phone calls and emails. After the FTC inspector got suspicious and asked for proof that they were indeed a consumer, they suddenly went away until starting a new campaign in April this year. Since then dozens of fake postings have appeared on numerous review platforms, a special website, blog and facebook page pretending to warn others about the use of polypropylene in our mattress models that utilize coils. Note: Polypropylene is a safe material mainly used in the food and medical industry as well as 99+% of pocketed coils. 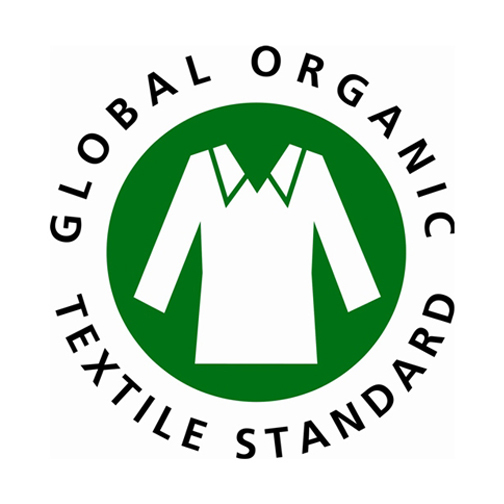 It is also allowed under the GOTS (Global Organic Textile Standard). Note: All our dealers show display buns for our mattresses in their showrooms which clearly show the coils within mattress models and it is plain to see that the material is not cotton. In addition each mattress has a zippered cover which can easily be opened and the material content is no mystery. Note: While in many scenarios making the assumption that "all-natural" is superior to other alternatives, in this case it ignores very important information. Please see FAQ "Why is the material of your pocketed coils not natural?" We strive to operate a business successfully with no compromises on truth, ethics, integrity and fairness. Obviously not all our competitors are inspired by the same values. How do you make your mattresses flame retardant? We use pure natural sheep wool as a natural flame barrier in our mattress cover design to meet the standard. Wool (like any natural hair) burns cool, self extinguishes after a very short period and leaves a char layer that works as a very efficient heat insulator to protect the core from ignition. We do not use any chemical sprays or artificial flame barriers in any of our materials for mattresses or foundations. Wool is very expensive and this is not the most cost-effective, but the most natural and healthiest way to meet the flammability standard. Our mattresses and mattress sets have been tested by the relevant government approved laboratories and passed the open flame test with a comfortable margin. The relevant information can be found on the law label and Certification of Compliance that is available to our dealers upon request. Why is the material of your pocketed coils not natural? The prime focus in our mattress design is function and performance not organic certification. While all our materials are certified chemically safe, mostly natural and some are made with 100% organic fiber in GOTS certified factories, we use polypropylene for our pocketed coil material because it performs better than cotton which is the only natural material available. PP is quick drying which is important to prevent the growth of mold and bacteria inside your mattress. It is very quiet and does not make crunchy noises when you move in bed. It allows the hot-melt (solvent free) glue to bond tightly to it to prevent separation of the rows of coils guaranteeing exceptional durability. As with everything else in life the right balance has to be struck between natural and functional and we believe that the earth is better served by a bed that has a long and well-performing life span compared to a 100% natural design where some components are of a lesser functionality and the bed has to be replaced in a much shorter time-span. Our nonwoven polypropylene is a chemically safe material that has been developed over 50 years ago and since been widely used for all kinds of everyday applications (food packaging, clothing etc.) It is also used in the medical field for sutures, artificial vascular grafts, catheters and disposable syringes. It has been used for pocketed coils for decades and proven to work extremely well. Not on a mattress from Berkeley Ergonomics. Because of the significantly higher number of compressed coils, the resiliency of the latex, the individual flexible slat suspension system, and the special quilting on the top pad, our mattresses have virtually no motion transfer. How do I know this will be right for me? You don't really. Buying a mattress can be very difficult. It ranks highest in terms of consumer dissatisfaction. The problem is, because people only test a mattress briefly in the store, they don't realize the mattress is poorly designed or made with poor quality materials. Berkeley Ergonomics mattresses not only have superior components and design, but a huge advantage over other mattresses in that you can adjust and readjust them, giving you almost unlimited options after your purchase. Will this fix my back/shoulder/hip problem? That's a hard one to answer. Physical problems can have many sources. A bad mattress and bad support can certainly aggravate a condition. And if you sleep on the right mattress, you may find the problem goes away or lessens. No mattress can be guaranteed as a "cure" for anything. But we do know that our mattresses provide excellent support and comfort. Are the quilted mattress and pad covers machine washable? Please do not wash or dry clean your mattress cover. It will shrink and not fit back onto the mattress. You can take the top panel off to air out seasonally. You can also put it in the dryer for a half an hour on a cool setting if outdoor airing is inconvenient. If necessary you can spot clean the cover with a gentle detergent. Place a towel underneath while you spot clean from above. Make sure you allow to dry well before zipping back on. Please, keep your latex inside and out of the sun. What about allergies to the latex or the wool? Will this bed sleep "hot"? No. Synthetics and polyesters do because they don't allow moisture to evaporate; they retain moisture and lock the humidity in. Our mattresses have several elements that guard against that. There is a wool layer and wool is one of the best dissipaters of moisture, keeping sleeping temperatures comfortable. The cotton in the mattress covering allows moisture to permeate and evaporate instead of trapping it. Our 100% natural Talalay latex has an interconnected open cell structure allowing air circulation resulting in a drier and more hygienic sleep environment. Sure – if you have European size furniture or an antique heirloom bedframe, we can make special size mattresses for you. We can pretty much make any size in the All Latex model. With coil mattresses there are certain limits as we can only reduce / enlarge in increments of the coil diameter. Also – we cannot make the flexible slat bases in special widths. What are the mattress and foundation size standards?